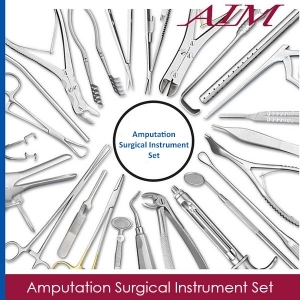 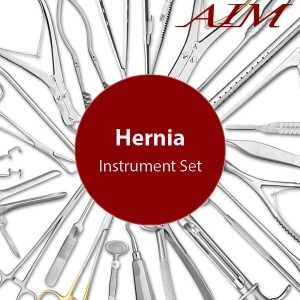 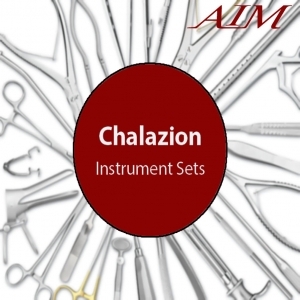 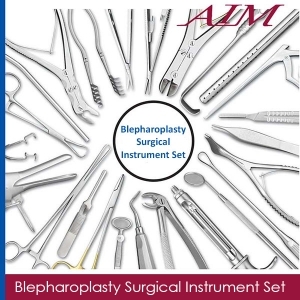 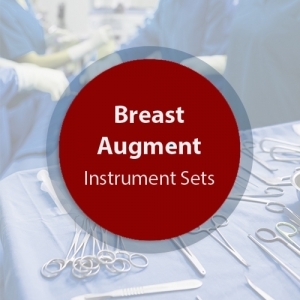 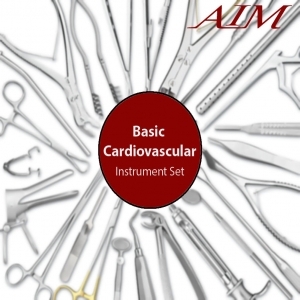 This Total Hip Replacement Surgical Instrument Set is composed of operating room grade instruments which are made from German stainless steel. These instruments have a satin finish and come with a lifetime warranty. 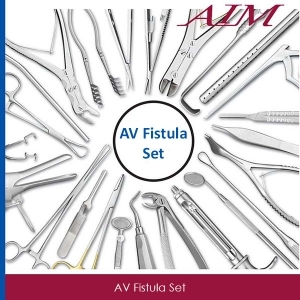 1 Mayo Dissecting Scissors Straight 6-3/4"
1 Mayo Dissecting Scissors Curved 6-3/4"
6 Rochester-Pean Forceps Curved 8"
2 Rochester-Ochsner Forceps Straight 8"
2 Crile Forceps Curved 6-1/2"
6 Tissue Forceps 1x2 Teeth 5-1/2"
2 Tissue Forceps 3 x 4 Teeth 5-1/2"
2 Russian Tissue Forceps 8"
2 Crile-Wood Needle Holder (DeBakey) 7"
2 Mayo-Hegar Needle Holder 8"
2 Allis Tissue Forceps 5 x 6 Teeth 7-1/2"
2 Beyer Rongeur Curved 7"
1 Stille-Luer Bone Rongeur Straight 8-1/2"
1 Stille-Luer Bone Rongeur Curved 8-1/2"
1 Gerzog Bone Mallet 7-1/2"
1 Hibbs Osteotome 6 mm 9-1/2"
1 Hibbs Osteotome 10 mm 9-1/2"
1 Hibbs Osteotome 13 mm 9-1/2"
1 Bone Hook "T" Handle Large"
1 Mini Hohmann Bone Elevator 8 mm 6-1/2"
1 Hohmann Bone Elevator 43 mm 10-3/4"
1 Hohmann Bone Elevator 20 mm 10-3/4"
1 Putti Bone Rasp Flat End / Conic End 12"
1 Weitlaner Retractor 3 x 4 Prongs Sharp 6-1/2"
2 Backhaus Towel Clamp 3-1/2"
6 Backhaus Towel Clamp 5-3/4"
4 Hibbs Retractor 2" x 5/8" Blade 9"
2 Metzenbaum Scissors Curved 8"
1 Metzenbaum Scissors Curved 7"
1 Foerster Sponge Forceps Straight Serrated 9-1/2"
2 Mayo Dissecting Scissors Curved 9"